I seem to have finished knitting hats, and only hats (ok, except for one pair of gift socks), since November. Eight hats in five months, two of which you can find here, one here (which I knit twice), one more here, and the remaining three in this post. Speckles for baby and me. Happily, all the plain stockinette that’s involved in knitting a Sockhead Slouch Hat (designed by Kelly McClure) is totally worth it, because I adore the finished product. The colors are my favorite, the speckles make me happy, the ribbing is super cozy, and the length is just right for a good amount of slouch. I modified a few things in my version: I used a sport-weight yarn (BMFA Socks That Rock Mediumweight), cast on fewer stitches (136), and knit to a shorter length (10.5″ total) before the crown decreases. This removed some slouch and is just right for my head. I will update my project page with measurements later, as I did not get a chance to do so yet. Because I COULD NOT RESIST, I knit a wee baby hat for Hatchling so that we could be all matchy-matchy. I really should have done longer ribbing for the rolled-up brim, but alas I did not. I used the same yarn and needles (2.75 mm) and cast on 88 stitches in a gauge of 7 sts/inch, for a hat that should be approximately 12.5″ around after blocking, unstretched. Newborn heads are typically 13″ or so, but with the stretchiness of the fabric and the fact that I can roll the brim down as the kid grows, I’m hoping the hat will continue to fit for a while, because that little i-cord loop at the top is just too damn precious. 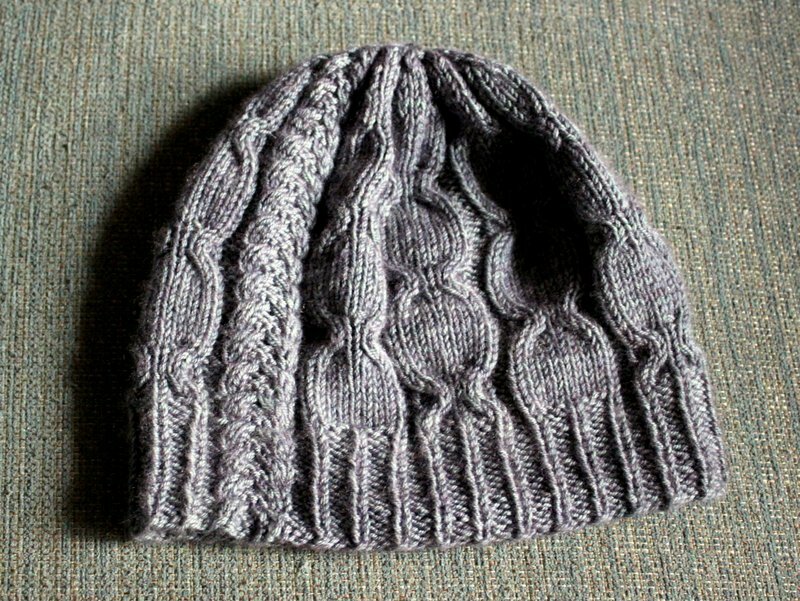 I had intended to make this hat (Fidra, designed by Gudrun Johnston) for my friend’s December birthday. However, it’s March, and it’s still sitting in my house. It went through a failed iteration with inappropriate yarn, and then waited weeks for a pom-pom, and now I just haven’t gotten around to mailing it. Despite that, the finished product is pretty fabulous. Knit with the called-for yarn (BT Quarry) and needles, it’s actually a little snug, so I hope she likes it as I know she likes her hats on the bigger side. If you’re finding the Quarry yarn difficult to work with (it’s basically unplied pencil roving) I’d recommend going up a needle size or using metal instead of bamboo. Going up a size would give everything a bit more room to move around and the size would probably still work out fine. Is it just me, or is time really speeding along lately? Either way, I completely failed to post my finished hat last Friday as promised, so I’ll chat about it now, instead. Behold the glorious cashmere halo! This hat was a delightful knit after a slightly rough beginning. 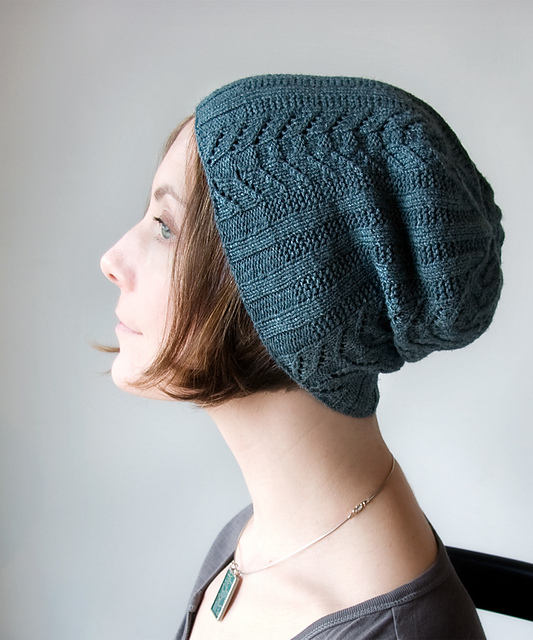 The pattern is Black Tea, designed by Thea Coleman, and when I handled her sample at a class she taught at Slater Mill, I knew I wanted the exact same hat in the exact same yarn. The yarn is Bello by The Plucky Knitter, a 55% cashmere / 45% Merino wool yarn that I got from a destash on Ravelry because my goodness, I have no idea how to actually catch a Plucky update on the site and I’m not motivated enough to try. If you are, though, the yarn is totally yummy. I didn’t record what colorway I bought but it’s an interesting shade of grey that reads with blue/green/purple undertones. Knitting the hat with the yarn held double was a little bit frustrating, but I really love the final product. I finally got tired of detangling every five seconds and just unwound the whole cake of yarn and re-wound it into a new ball with the yarn held double, rather than knitting from the center and outside of the cake simultaneously. The sizing of this hat was a little tricky, too. 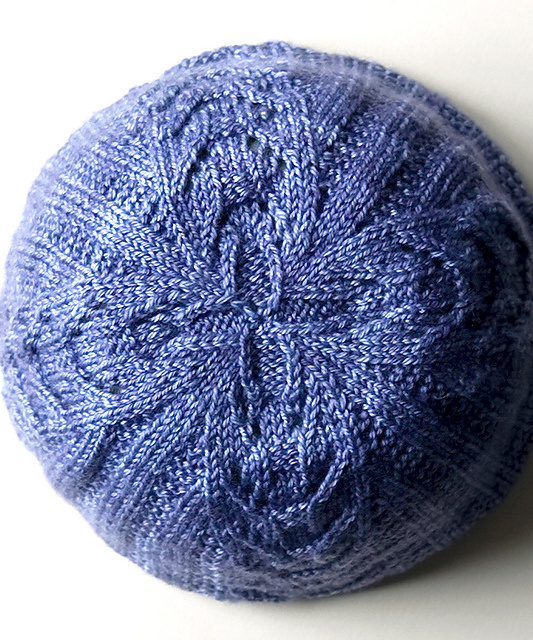 The pattern called for 120 stitches cast on with a 5 sts/inch gauge, which would’ve resulted in a 24″ circumference hat. Since I know that cashmere is an inelastic fiber and I don’t like my hats to be super loose in the brim, I decided to knit the hat at a tighter gauge (7 sts/inch) and adjusted the cast on / brim to 100 sts instead (on size 4 needles) by removing some of the knit stitches, which I then increased to 120 sts when I reached the body (on size 6 needles). I was only able to knit 2.5 repeats of the pattern before beginning the crown decreases and had just 8 grams of yarn left at the end. After blocking, this size worked out perfectly for me. The hat has about a 20″ circumference unstretched and is 9″ deep. I wouldn’t have minded being able to finish another repeat before decreasing, but I think the hat has a nice enough level of slouch as it is. Other than my sizing indecision, the cabling was simple and the whole project felt like it went pretty quickly (despite having to tink back multiple times for miscrossed cables). I think what really makes the hat, though, is the yarn. In a different yarn with less cashmere content, my sizing changes wouldn’t have worked out so well. The fabric would’ve had too much bounce and not enough drape. But cashmere is so lovely, and held double, it is doubly lovely and extra drapey and dense. So good. I will be living in this hat come fall. 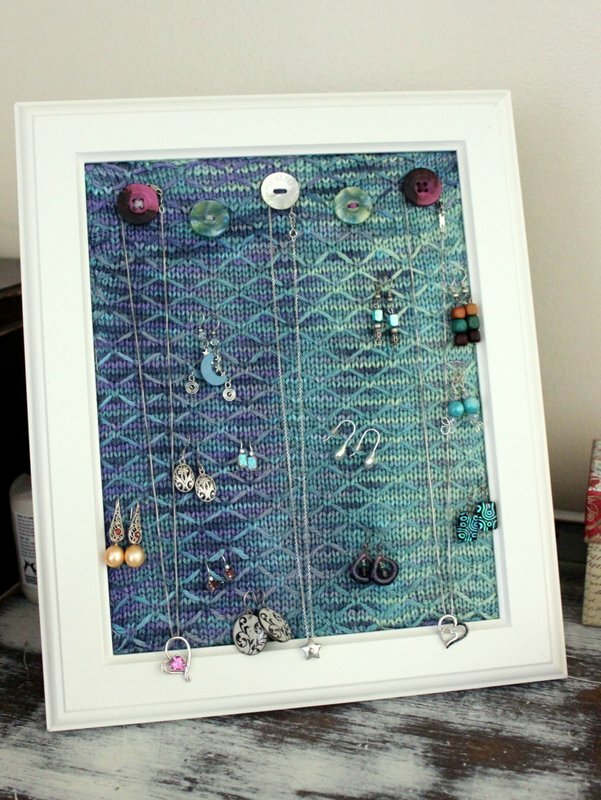 Photo copyright Expression Fiber Arts, click for webpage. In other news, Sweet Sheep lotion bars (in Lavender) are now available as part of a Self Love crochet cowl pattern kit sold by Expression Fiber Arts. 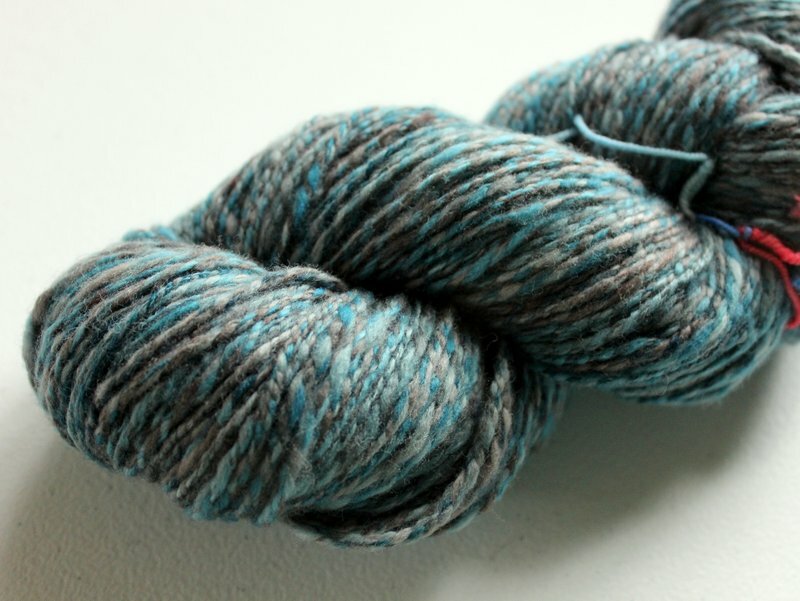 The yarn in the kit (2 skeins of yak/silk laceweight) sounds absolutely divine and I love the idea of giving yourself a luxurious treat. And finally, I’ve done a little bit of blog housekeeping. I’ve changed the home page to go directly to the blog, updated the About Me page, and added an Around the Web page where I am keeping a list of all of the product reviews I’ve done here, guest posts I’ve written elsewhere, and Sweet Sheep product reviews that other bloggers have done. I figured it would be a good way to keep some really great content in one easy-to-find place! That’s all from me this week! Even though this is more of an FO post than a WIP post, I’m still linking up with Yarnalong (I’m reading Cider House Rules by John Irving) and Stitch Along Wednesday. I hope you’re all having a good week!